There are so many DIY projects out there, but electrical projects really shouldn’t fall under that category. Depending on your state, it may be legal for you to work on electrical projects in your own home, but it is really a crazy concept! If something goes wrong, somebody could get hurt. In a worst case scenario, somebody could die or a house could burn down. Something can go wrong for a licensed electrician as well, but they have the broad electrical knowledge to get it fixed correctly. Here are a few other reasons to hire a licensed electrician. The National Electric Code made safe electrical practices standardized, so everyone could agree on proper electrical safety. It minimizes the risk of electricity harming people or property. It is not law, and it only represents the bare minimum that an electrician should be doing to be safe. 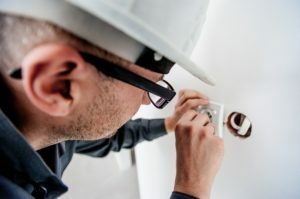 Even though it is the bare minimum, your electrician will be equipped with the knowledge to install or repair electrical features of your home in a manner that is up to code. The code itself acknowledges that it is only meant to be used by skilled professionals in the electrical industry because it is not a manual. Understanding the code relies on educational requirements that only licensed electricians will have. Therefore, only a licensed professional will really understand how to do their job up to code, and anyone else will have the frightening assumption that they too understand. DIYers understand enough about electricity to be dangerous. If anything goes wrong, they simply don’t understand the fundamentals of electricity to help them safely progress with the project. Don’t mess around with electricity and things being subpar because they aren’t up to code. Used a licensed electrician, and you will know it is up to code. It’s the only way to ensure it is safe. Not even a licensed electrician can escape Murphy’s Law. If something can go wrong on a project, it will. Not to worry if your electrician is licensed! Contractors take the liability on any project they take on. In order to be licensed, an electrician must have a bond that covers two things: that the job will be done and that it will be done right. Accidents are also covered by an electricians insurance. If they damage your property, it’s covered. That should sway you to choose a licensed electrician, but consider this. If you do the work and mess up, you have to pay for it. If you get hurt, it’s your medical bills. 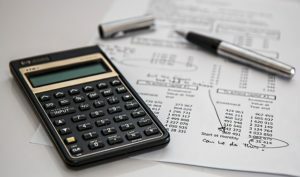 There may be minimal risk depending on the project, but when things get sticky, it’s nice to know you aren’t going to have to pay the price. A licensed, insured, and bonded electrician will save you money and hardship! Don’t take on the liability involved in electrical projects! Liability and the National Electric Code will protect you from harm and make sure your electrician does the bare minimum. It doesn’t mean that they will do their best work. However, hiring a licensed electrician means they’ve worked hard to get to this level. It can be assumed that some level of pride and professionalism comes with this. In today’s world of Angie’s List and Yelp, it is important to maintain professionalism. A licensed contractor will know this, and you’ll get better work. Doing things up-to-code is important, but exceeding that level is important if you really want to get what you are looking for. You may not think being up-to-date is that important, and you’d be wrong. A shoddy, under-the-table, unlicensed electrician who has “been doing it for years.” Will have all sorts of old parts collections and workarounds that will be a nightmare in your future. When everything goes wrong, they’ll be gone with no insurance or bond to back up their work. Additionally, licensed electricians keep up-to-date by taking classes, and they know all about new ways to be more efficient and modern. Again, the licensed electrician may cost a little more than unlicensed, but they will save you time and money in more ways than one. Licensed electricians were once apprentice electricians. That means that even the newest licensed electrician has on-the-job experience that is invaluable. They are able to troubleshoot, and they are able to locate the source of electrical problems rather than stopping short by fixing the effects. A fuse can be replaced, but a licensed electrician will find out why it blew in the first place. If you want to do it yourself, check the permit requirements in your state. It may be doable, but it isn’t recommended. If you are hiring an electrician, make sure he or she is a licensed electrician. They have standards they must abide by, and they have reputations to uphold!